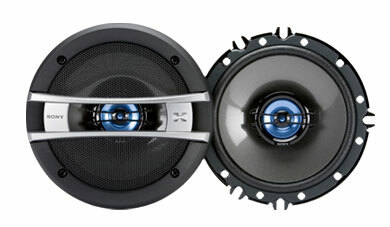 Crank up your stereo and hear every note with Xpl?d GT Series speakers. This 6.5" 2-way speaker will make your music come alive. The woofer cones are constructed of Sony exclusive Highly Oriented Polyolefine (HOP) and reinforced with Aramid fibers for extra firmness while the polyethylene naphthalate (PEN) diaphragm tweeters take care of the musical details. 6 1/2" HOP/Aramid Fiber Woofer Cone with PEN mid / tweeter, flexible mounting options provided with multiple fitment frame. Dimensions (Approx) Depth : 1 3/4"
Weight (Approx.) : 1 lb. 5 oz.